This insulated system offers many unique benefits, including cutting your energy costs by decreasing the amount of hot or cold air that leaks into your interior. By protecting your home from harsh elements that come with extreme temperatures and storms, you’ll stay comfortable inside, no matter the time of year. 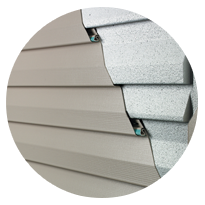 Premium energy efficiency and superior durability, the 4000 Energy Plus Vinyl Siding is made of thick 1-¼” insulation. 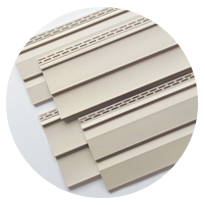 A unique panel design and extreme rigidity makes this vinyl siding a product you can count on for year-round protection. 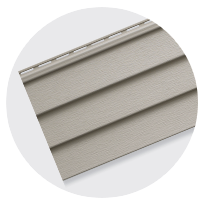 Low maintenance, yet strong enough to weather the storm, the 2000 Vinyl Siding series won’t stop working for you. 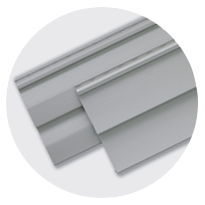 Designed to resemble the look of authentic wood, Window World’s 1500 Vinyl Siding is best described as gorgeous exterior cladding. 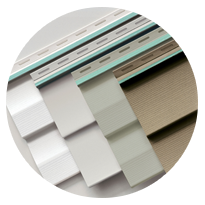 An optimal blend of quality and value, the 1000 Vinyl Siding series will stand up against harsh weather, while remaining strong.